DunkerPunks.com wants to connect with every youth from NYC! All it takes to be one of the Dunker Punks is the willingness to follow Jesus. It doesn’t have to look fancy. So fill out the form below to create your Dunker Punks profile! Not a youth? That’s ok! 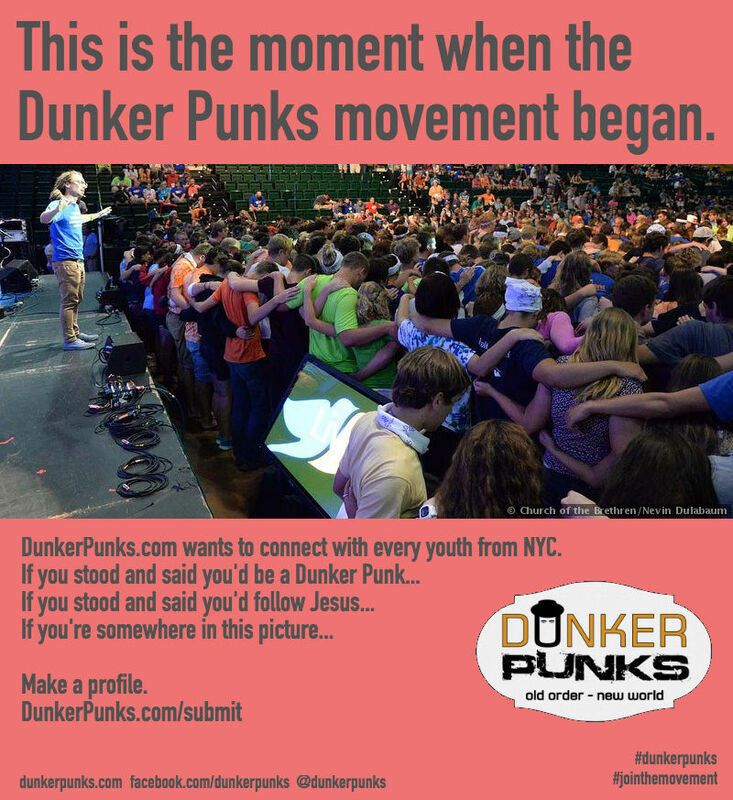 Dunker Punks of all ages are welcome to make profiles, but please encourage the youth family and congregation to join!